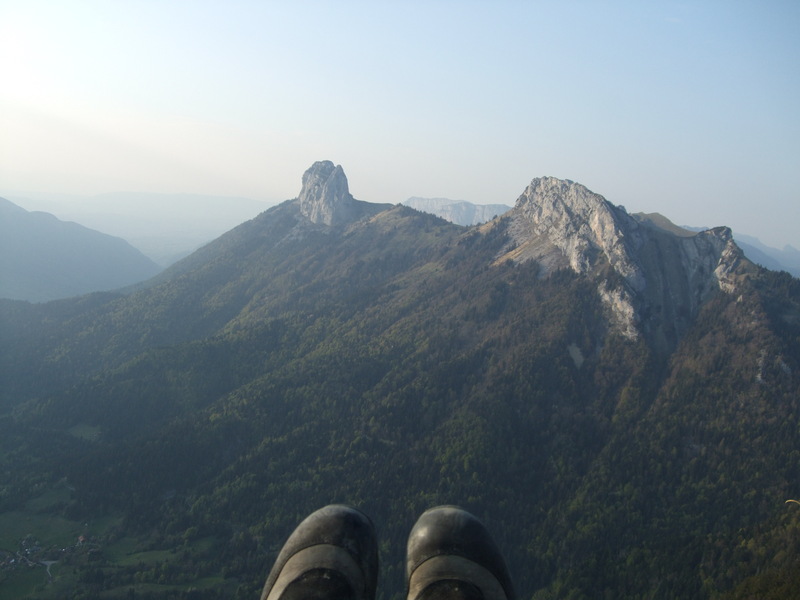 One of the things I loved about flying in Annecy is that every day and every flight was different. In England, I often have to make a real effort to fly and set myself challenges so I can improve. But there, it was easy! 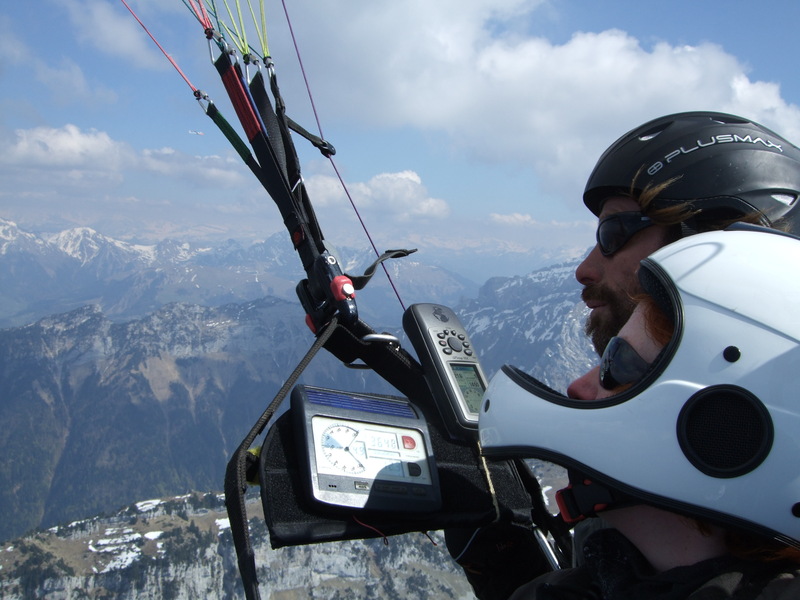 On the first day, we launched from Forclaz into strong thermals and soon climbed up to 8,000′. With only one little XC flight under my belt, I set off towards Annecy. Flying over 1,500′ above Les Dents, I decided to head out across the lake to Roc des Boeufs, then worked up that ridge, planning to get high enough to complete to loop back to launch. A collapse over the highest point of the ridge pushed me out of the lift, and having had two hours in the strong conditions, I decided to call it a day and headed for the landing field. I was pleased with my flying, but slightly overwhelmed by the strength of the conditions. However, I managed to get a lift back up to take off and launched again into a completely different sky, with smooth evening lift and flew until sunset. The following day, equally strong, I had the opportunity to go up on the tandem. I got expert thermalling tuition and got to experience proper wingovers, asymmetric spirals and generally gain more experience and confidence in the strong conditions. It was fascinating to be shown how and where the terrain worked. In particular, being shown how well a small disturbance in the leaves of the trees marks a thermal. Later, I went up again on my own and again climbed up to 6,500′, working the gentlest evening lift. As the sun was setting, I realised that it was probably already getting dark in the landing field, so rapidly burnt off the 4,000′ down to the landing field, practicing wingovers and going into and out of spirals to build up my confidence with the exit. The fortnight continued in a similar way with several new sites, a proper little cross country flight back to the house and my first experience of being the retrieve driver as my friends dropped down all over the countryside. The conditions were phenomenal and made today’s flying at Caburn feel mellow by comparison. Now I’m hoping that the hours in the air and the bombardment of new flying experiences can translate to bigger, better and longer flights on (and hopefully away from) my home sites in Sussex! It’s a shame I didn’t write this sooner as I know I’ve forgotten a lot and there’s much more I wanted to write about. I should have been writing this as I went along. But with flying every day and surrounded by friends in the evenings, it wasn’t the first thing on my mind. But I’ll need to work on finding time in amongst all the fun and the chaos to keep up with the blog – hopefully one of the better challenges Becky and I will have to deal with as we go on our big adventure!